The sea-side gambling town gets an extension on a $40 million loan from the state of New Jersey. Embattled Atlantic City will get a two-month reprieve from repaying a $40 million state loan that was due Tuesday, according to a Reuters story on Monday. The 60-day extension on the loan payment enables the struggling gambling hub to avoid acting on recommendations by state-appointed emergency manager Kevin Lavin to lay off employees, cut other costs, and possibly restructure debt. The measures are necessary to stabilize the city’s budget, which has a projected $101 million deficit, Lavin reportedly contended last week, Reuters said. Lavin also said that without significant state support, the oceanfront resort town “cannot stand on its own,” and will run out of cash by May — even with the loan extension, according to Reuters. To help stabilize Atlantic City’s tax base, several state lawmakers are working on legislation to allow the casinos to make set loan payments in lieu of taxes. 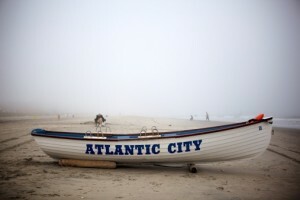 “Tax appeals will really cripple the finances of Atlantic City if we don’t get these bills passed,” New Jersey Assemblyman Vincent Mazzeo told Reuters. Moody’s Investors Service, which rates Atlantic City’s bonds below investment grade, said that that the city could default under Lavin’s “aggressive” 90-day timeline without timely legislative action, state aid, and casino property tax payments.